November 3rd was the kind of day brides wish for when choosing wedding dates. Janet and Travis had the perfect weather for their beautiful wedding at the Ponte Vedra Lodge and Club. The venue is right on the beach and has so many gorgeous spaces for the ceremony, cocktail hour, reception and portraits. The day started and ended a little cool but gave us beautiful light during their wedding ceremony and photographs following. When I first met Janet and her mom for their consultation one of the most important things to her was photography for her wedding day. 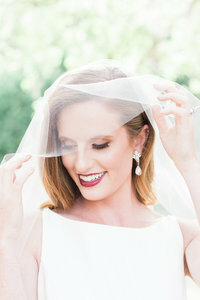 I clicked with her right away, I loved that she had prioritized family as the most important during her wedding day, and that she was going in knowing exactly what she wanted. Then I got the chance to meet Travis at their engagement session and they were SO cute together. We walked around St. Augustine’s Lightner museum where I asked them to walk like they were drunk. Not only did they nail it, but they trusted their crazy photographer to do what I asked so I loved them even more. Congratulations Janet and Travis your wedding at the Ponte Vedra Lodge and Club was so beautiful! Wishing you so many years of love and happiness.